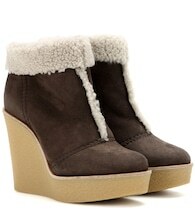 For a luxe look when the cold weather strikes, slip into these cosy ankle boots from Chloé. 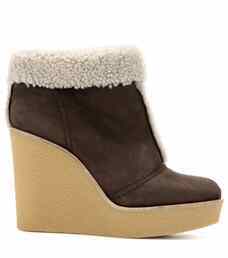 The shearling-lined pair is coated in smooth brown suede and finished with a chunky rubber wedge heel. 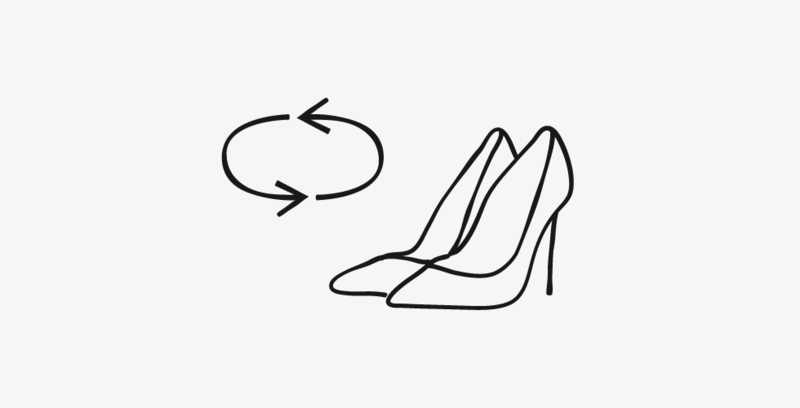 Let them elevate any look this fall and winter.